It’s not hard to work out that, for a busy gym, helping customers book their fitness sessions quickly and easily matters. 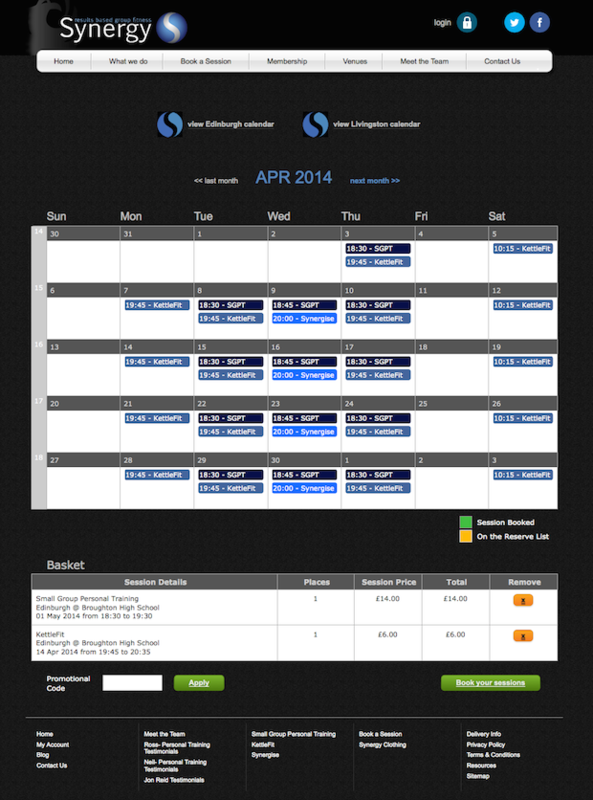 So when Synergy Fitness needed help with their online booking system, Sharp Apps applied some mental muscle and created a bespoke booking calendar. This intuitive and easy-to-use content management system, lets Synergy add, delete and edit bookings at the touch of a button. It’s been such a hit, we’ve been asked to review their whole site. Watch this space.